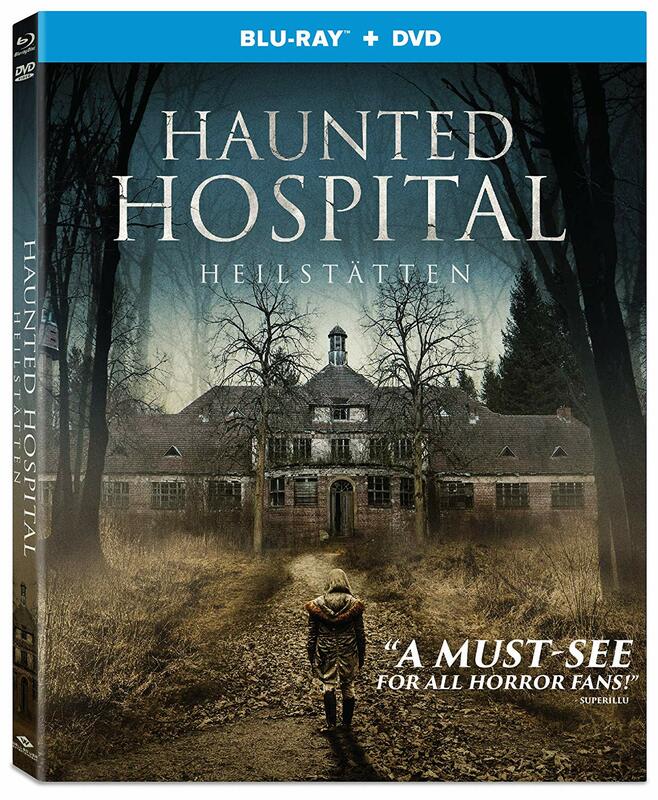 Michael David Pate’s thriller film HAUNTED HOSPITAL: HEILSTATTEN bluray features includes English Language Available and the Trailer for the film. Purchase HAUNTED HOSPITAL: HEILSTATTEN on Blu-ray February 12! 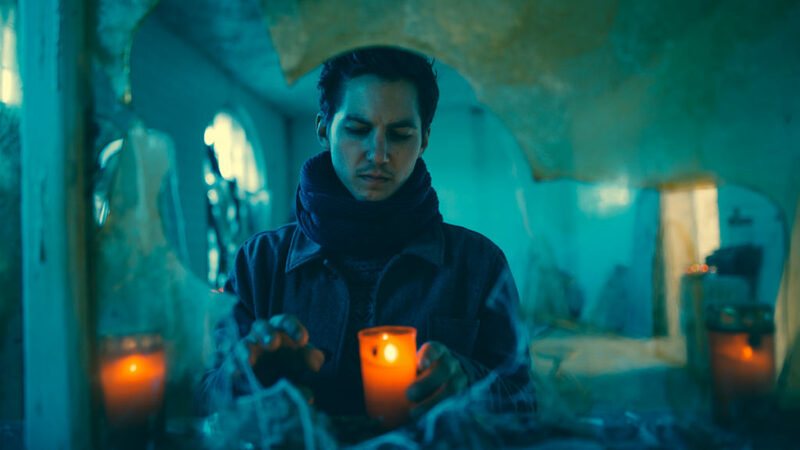 HAUNTED HOSPITAL: HEILSTATTEN is a 2018 German found footage horror feature film directed by Michael David Pate (Potato Salad; Gefällt mir) from a screenplay co-written with Ecki Ziedrich. The movie stars Nilam Farooq, Farina Flebbe and Sonja Gerhardt. In this film a group YouTubers illegally break onto the grounds of a gloomy sanctuary near Berlin and proceed to set up hidden cameras and stay within the forbidding surgery ward for a 24-hour period. They eventually come to find out is the presence already living within the ward isn’t fond of them being within the hospital. This film is along the same lines as many of the Paramormal Activity films. 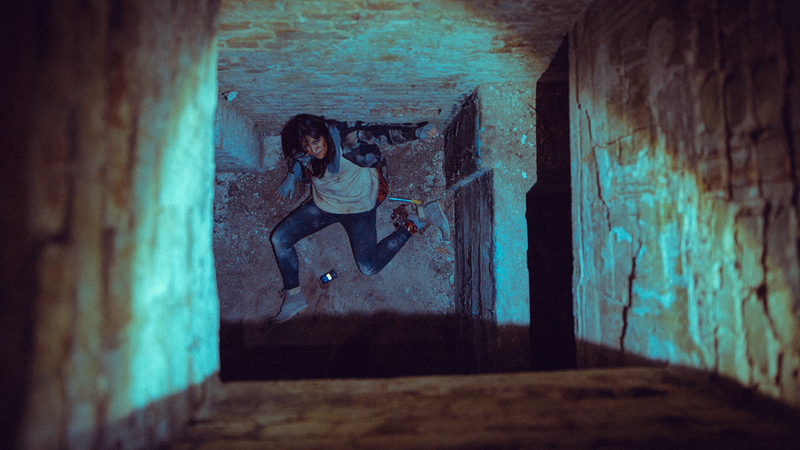 Since most of the found footage films are structured the same way. This one in particular reminded me of the film Chernobyl Diaries. HEILSTATTEN did however bring its own special vibe to this kind of genre by making the film star YouTubers. With this being the basis the found footage vibe gave a better reason as to why they were filming. Immediately, you can tell that all the Youtubers are excited and ready to get the filming underway. All of them except for the main led in the film. She can sense that something is off. So the majority of the cast ignored any of the paranormal activity happening from within the hospital in the beginning. Obviously, this style of film with have the classic shaky camera scenes and jump from person to person in an instant. The shaking camera in this film was not as over the top as in some others. The effects for the paranormal scenes were pretty well done. The location as to where the film was shot was also a great location to where you would believe Youtubers would break onto the grounds and start filming. The audio is a Dolby Digital 5.1 in the German language feature. There is an option to watch the film with English dubbing. There wasn’t a score or soundtrack used for this film but it did have all the noise effects you would expect in a found footage/paranormal such as this. It was slightly difficult to keep up with the English subtitles when watching the film in German. Seemed like the subtitles could’ve stayed on the screen a tad bit longer. When I switched to the dubbed English audio it was a lot more enjoyable. The audio matched fairly well. The only downside was some of the emotions and reactions were slightly off. The video quality of this Blu-ray release is a standard 1080p. The effects in this film and attention to set details are really well done. Makes the viewer actually believe some spooky stuff has happened within the hospital. Of course the shaky camera throughout the film is something most struggle through but it is not as bad as some films in this genre have been in the past.